The beautiful edge-on spiral galaxy NGC 3190 with tightly wound arms and a warped shape that makes it resemble a gigantic potato crisp, as seen by ESO's Very Large Telescope. 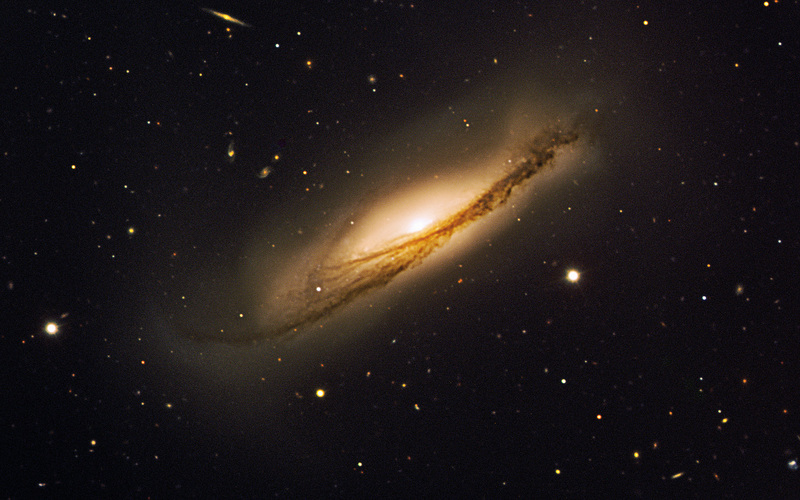 Supernova SN 2002bo is found in between the 'V' of the dust lanes in the south-western part of NGC 3190. 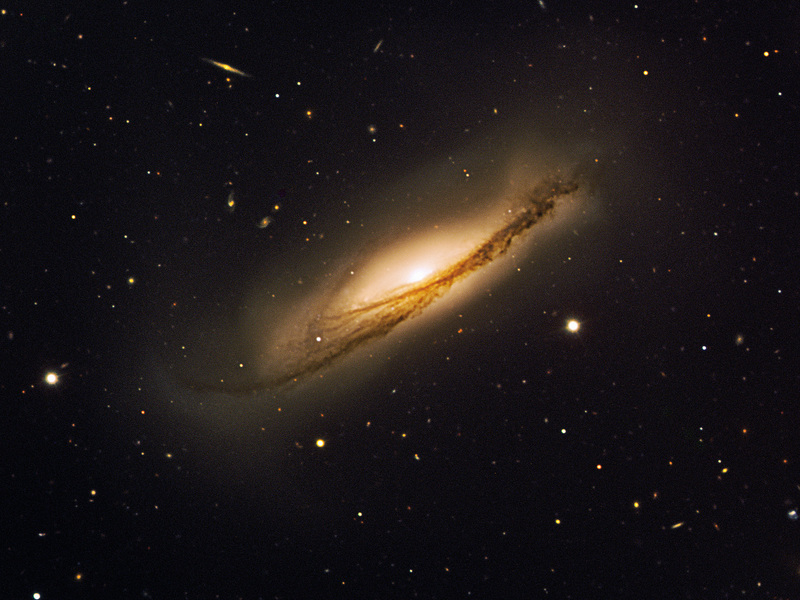 SN 2002cv is obscured by a large amount of dust and is therefore not visible. Its position is however indicated on the above image. This colour composite is based on images obtained on 26 March 2003 with FORS1 on UT2 (Kueyen) in four filters (B, V, R and I) for a total exposure time of 14 minutes. The observations were done in the framework of a programme aiming at studying the physics of Type Ia supernovae. The field of view is 6.15 x 5 arcminutes. North is up and East is to the left. The data extraction from the archive, data reduction and final colour processing of the image was done by Henri Boffin (ESO). Position (Dec): 21° 49' 55.12"